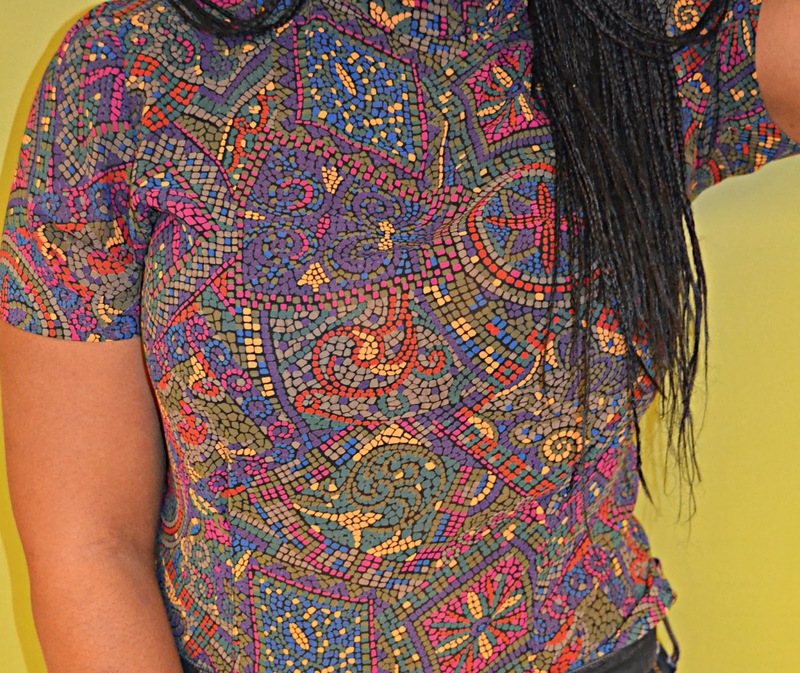 SHANTÉ SAYS STYLE: Mosaic top. I recently went out for lunch with a friend to Wagamama. I know the whole world and her son has been there, but nevertheless, it's always a great (when you're stuck for other options) place to go. We went to the Holborn branch, which I have never been too. It had the air of a high school cafeteria- just a lot less busier (people must have been at work). The post is really just for this AWESOME top (so ignore the rest of the outfit) I copped whilst in Rwanda from a street vendor- those Rwandans love vintage shopping too!! As soon as I saw it, I knew I couldn't leave without it in my bag. I love the colours and the mosaic print- it is very me. (Was so glad that it fitted too-you never know with street vendors!) The lady was selling it for 3000Rwf (£3), but after just purchasing a Kaftan that is worthy of going for at least £30 in Monsoon, for £1.50, I knew I had to haggle on it- what! I can't help it! Haha! This woman was determined- she knew it was an eye-catcher and of good quality- so I only got 50p knocked off and brought this masterpiece for 2,500Rwf (£2.50)-which is ah-maze-ing!! I'm in love with a top. That is all. 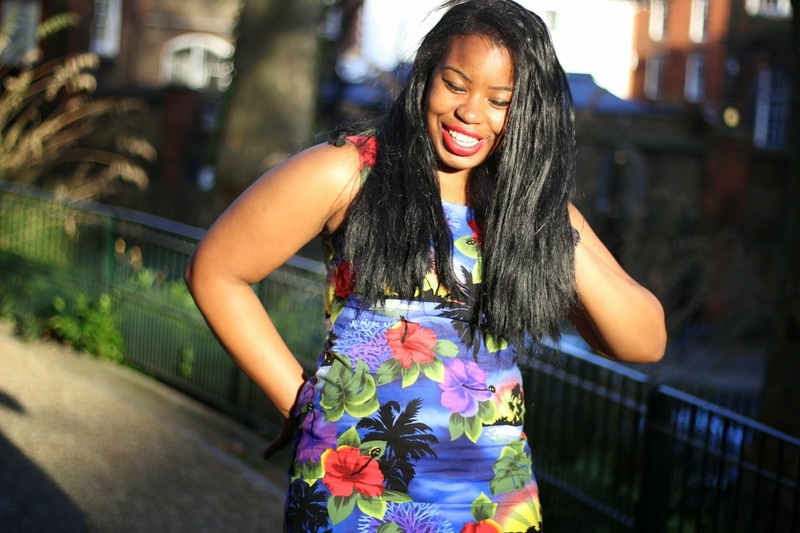 Top (vintage)- Rwandan street vendor- £2.50!! Hope you all had a blessed Sunday. I sure did, I went to Hillsong Church and it was wonderful! Thanks for the follow, I followed you back. I really like your style! And yup £2.50!!! Could not say no to that!